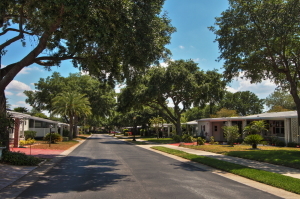 The Tampa, Florida, area typically always has a healthy number of mobile homes for sale. However, it is a mistake to think that all mobile homes are created equal. Thanks to advances in manufacturing, plus a pronounced increase in demand for high-quality housing that is within reach of people with budgets of modest sizes, the mobile homes that are built today actually bear little resemblance to the “trailers” that were produced decades ago. In fact, the term “mobile home” is fast becoming obsolete. The operative industry term is manufactured housing, i.e., homes that are built in advanced factory environments and subsequently transported to installation sites. Manufactured homes are similar to, if not better than, site-built structures. Though cheaper to buy, they are virtually indistinguishable from homes that are built in the conventional manner. Plus, since 1976, all factory-built homes have been required to conform with a strict federal building code (HUD Code) to ensure they do not succumb to any of the problems that mobile homes were notorious for having. Simply put, manufactured housing puts all of the benefits of homeownership within reach of many who otherwise might not be able to afford it. StrawBerry Ridge is a 55+ community just on the outskirts of Tampa, Florida, that always has an excellent selection of manufactured homes for sale. In fact, many of the homes that line our streets have recently undergone an extensive number of renovations on the inside and out. Upgrades include new drywall, solid wood cabinetry, energy-efficient appliances, low-maintenance vinyl siding, professional landscaping, and more. Contact our Lifestyle Team today for a current listing of the mobile homes for sale at our 55+ community near Tampa, FL, as well as additional information about what it is like to be a StrawBerry Ridge resident.